Print Ads - Ad Agency in Scottsdale AZ. We do digital and print advertising. Local and national print ads and articles are important in many industries. Some of the businesses who benefit the most from print ads and articles are insurance agents, Realtors and clothing stores. Print see ms so archaic when compared to the internet, but in a lot of ways print ads are much better. Why? People who are reading a magazine or a newspaper are making a conscious decision to read that print – it’s not like on the internet when a person may stumble across your article, or be looking for something else and happen to see your ad across the top of a website. Since these readers actually WANT to read the articles in that publication they are more engaged and usually more responsive to the suggestions of the articles and advertisers. Artwork is very individual and sometimes takes several drafts before a final is approved. 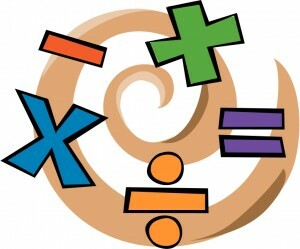 Other companies charge each and every time a small change is made, which adds up quick. Flip Marketing and SEO will make reasonable changes for FREE to make sure your print ads are perfect and you are satisfied! Sometimes a font needs to be switched out or a different color needs to be used – YEP, we’ll do that – we are creative people – we get it – others DON’T. Flip Marketing and SEO can help you write an article that is engaging and keeps the readers attention. Again, this takes some creativity to figure out exactly WHAT the subject matter needs to be and what type of writing style should be used. We will make an article even you, as the expert of the industry, will find interesting! Good Print Ads ADD Up! Engaged readers will make buying decisions from engaging print ads. Your ads need to be catchy and inviting. They need to stand out and catch the readers attention before the reader flips the page! Chances are you will need different print ads for different publications – you need to cater to your audience. We have top designers ready to create print advertisement for your business! Good ADS really do ADD up! Are you in the Yellow Pages still? 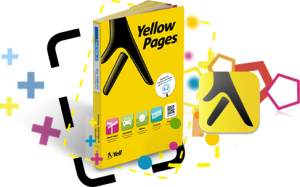 Many companies have moved away from the yellow pages in Scottsdale, AZ, however it is still very profitable for some businesses to continue advertising in the yellow pages. Yellow page ads have a totally different concept then a print advertisement. You need to pack a lot of information on a page without looking too over crowded, but also highlight your local phone numbers and include tracking numbers. WOW! Flip Marketing and SEO will conquer the challenge and make a yellow page ad which will entice people to call you! We will also help with your DIGITAL yellow page ads and profiles as well.